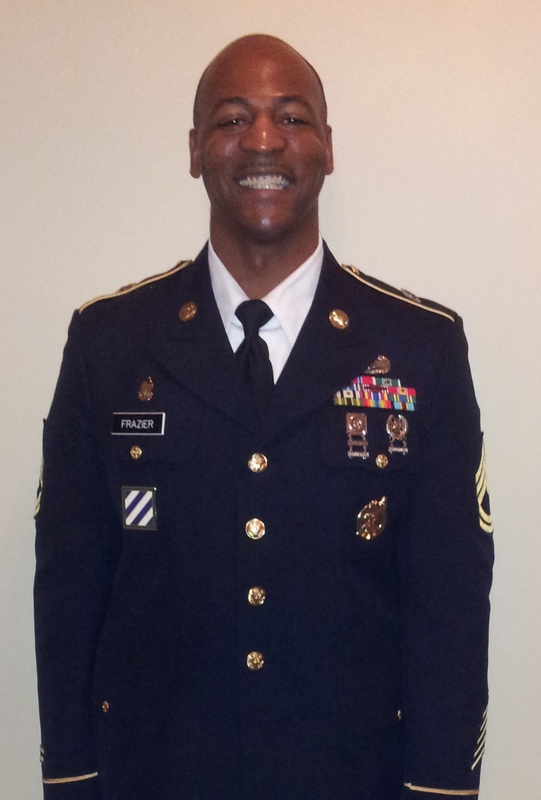 The Round Lake Area Exchange Club and sponsor, Round Lake Area Park District, are proud to announce the December hometown hero, U.S. Army Sergeant First Class Julius Frazier of Round Lake. Frazier was registered for this honor by his wife, Alice. 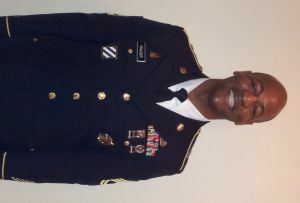 Frazier is originally from Lancaster, South Carolina and currently serves as an Army recruiter at the Round Lake Beach Office. Frazier is no stranger to the community, he and his fellow soldiers have volunteered at many community events with the Round Lake Area Chamber of Commerce and the Round Lake Beach Police Departments Shop with a Cop Program. The Frazier’s live and raise their children in the Round Lake Area Community. All heroes receive a “Hanging with the Heroes” care package delivered with a personalized “Hanging with the Heroes” t-shirt (donated by Artrageous of Hainesville), a piece of home and letters from Round Lake Area School District 116 students. With the support of this months sponsor the Round Lake Area Park District, Frazier will receive gift cards to his favorite local businesses. The Round Lake Area Exchange Club will present a plaque to him and his family on Wednesday, December 19 at 7:30 a.m. at Panera Bread in Round Lake Beach. Any and all military personnel serving overseas or in the USA from any of the Round Lake Areas, Hainesville, Fox Lake or Ingleside qualify for the program. If you have a neighbor, family member, friend, employee, employer, etc. serving in the military please register them by going to www.rlaexchange.org/hero, five minutes is all it takes. We look forward to announcing the January Hometown Hero. For more information visit the web site or you can contact Sherry Ridge at 847-740-2379.